The Zohar opens this parasha with Rabbi Shimon saying ", הַמִּשְׁפָּטִים וְאֵלֶּה", "Now these are the ordinances which you shall set before them", These are the laws of reincarnation. The laws for the souls coming back to this world, according to the judgment they had received based on their prior life actions. When the Torah says "חִנָּם יֵצֵא לַחָפְשִׁי וּבַשְּׁבִעִת יַעֲבֹד שָׁנִים שֵׁשׁ עִבְרִי עֶבֶד תִקְנֶה כִּי" , If thou buy a Hebrew servant, six years he shall serve; and in the seventh he shall go out free for nothing. ", This reveals some of the secrets of reincarnation. The soul returns to the world because of its sins, or because it didn\’t complete Torah and Mitzvoth in its life. By those laws, the soul is forced to come back dressed in a physical body. That is the meaning of the word Re-In-Carnation, which means renewal in the flesh. The Hebrew word is "גלגול", Gilgul, that comes from cycle, and in Kabbalah it relates to the wheels of the souls. So the soul gets to be reborn in a new body and a new time of birth (Hebrew Month=different Mazal, different work) to complete its mission and process in life during the 70 years of life. The six years in the parasha refers to the six sefirot of Zeir Anpin (Chessed, Gevurah, Tiferet, Netzach, Hod, Yesod). If the soul is from the side of the Shechinah, which is the seventh, then it says "חִנָּם לַחָפְשִׁי יֵצֵא" . A tzadik that has earned a soul from Malchut of Atzilut has no work. Like the aspect of Shabbat, which has no work and no slavery. Parashat Mishpatim comes immediately after Yitro, with the Ten Commandments, (the correct translation is "Ten Utterances") that teaches us the laws of life and gives us the Torah as a guide to go through life following the way of G-d with 613 "items" in this guide. 248 DOs and 365 DON\’Ts. Yitro, Numerical Value 616= HaTorah, merited to have a parasha with the Ten Commandment on his name because he converted. 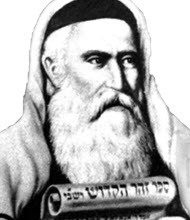 The Zohar says that because Yitro, "Heard" and broke his heart ("Lev Nishbar"), he disconnected from all idols and revealed a great light. Moshe, learned and listened to his advice. The Ari Ha\’Kadosh explains that Yitro is a reincarnation of Kayin and Moshe of Hevel. Yitro fulfilled his mission in life by transforming himself from being a master of idols and switching from negative side to positive. Kayin killed Hevel because he was jealous that Hevel was born with two wives. When Yitro came to Moshe, he said "Ani Chotencha Yitro", The Ari points to the Abbreviation Alef Chet and Yod, which is spelled as ACHI (My brother in Hebrew) and he adds, "I brought your wife and her children with me". This is how he corrected his sin. We must remember that it is almost impossible for a person to fulfill all 613 mitzvoth in one life time. A simple example is mitzvoth of the Kohen,Yibum, Redemption of the first born and many similar. Each Mitzvah creates a different connection to the creator. A soul needs to go through several life times to cleanse its sins and remove "Bread of Shame", "Nahama D\’chsufa". Parashat Mishpatim gives us the secrets of the Gilgul and ability to have the power to go through our Gilgulim with success and correct as much as we can in this. The Ari said that if a person did not follow his Tikkun (corrections),it is as if he didn\’t live his life. Rabbi Ashlag, Baal Hasulam, said that to find out your Tikkun, you need to look where it is hard, where you feel uncomfortable, then work on it until it is resolved. For example; if a person has problem with neighbors, he needs to get to a point to make peace and friendship with neighbors, otherwise no matter where he goes, the similar problems until he corrects it. Vayakhel – What is between pain and roses? Life is not a rose garden! Is it? Some may say yes, some may say not. They are both right. If your nose can sense the pleasant scent and your eyes can see the beauty, you are lucky. Or maybe not… If you want to own that beauty, touch and hold it close to you then prepare yourself to get hurt. The Zohar Volume 1 chapter 1 talks about the Rose and reference Song of Songs 2:1,2 “אֲנִי חֲבַצֶּלֶת הַשָּׁרוֹן, שׁוֹשַׁנַּת הָעֲמָקִים”, “I am a rose of Sharon, a lily of the valleys.” “כְּשׁוֹשַׁנָּה בֵּין הַחוֹחִים, כֵּן רַעְיָתִי בֵּין הַבָּנוֹת” “As the Lily amongst the thorns”. Rabbi Chizkiyah discusses this and says that as the Rose is White and Red, so is the community of Israel. The Malchut, has Merci (white) and Judgment (red). The Zohar explains that when the Torah refers to the nation, it means the mix multitude, (ערב־רב). When the nation came to Aharon (Exodus 32:1, in the previous parasha) it is said “וַיִּקָּהֵל הָעָם עַל-אַהֲרֹן, וַיֹּאמְרוּ אֵלָיו קוּם עֲשֵׂה-לָנוּ אֱלֹהִים אֲשֶׁר יֵלְכוּ לְפָנֵינוּ”, “the people gathered themselves together unto Aaron, and said unto him: \’Up, make us a god who shall go before us;”. That was the beginning of the sin of the Golden Calf. Three chapters later, in the beginning of the Parasha (Exodus 35:1) the Torah uses the same word to begin the process of cleansing. “וַיַּקְהֵל” has the same letters and the same numerical value of 151, which is equal to “מקוה”,”Mikveh”, the ritual pool for spiritual cleansing. We live in a paradoxical world, where good and bad coexist at the same time. “ויקהל” is used for drawing the highest negativity of idol worshipping and the desire for the self and also for the power of the Shabbat. The Mitzvah (precept) of Shabbat is in the second verse, following the gathering the congregation of Israel by Moses. Why did this great sin happen? Could it have been avoided? We’d like to think “Yes, of course”. How could they be so close to the Light, see miracles on a daily basis and yet turn to idols? Also how come Aharon helped them build it and make the event as a “holiday for G-d”? (Exodus 32:5). The Israelites go through the cycle of good and bad. Every time they got close to a big revelation of light, a sin took place. It is like you can’t get closer to the light without having blood in your hand. This Rose (Malchut) draws a lot of blood from us. After Moshe came down the mountain and saw the nation with the Golden calf, he destroyed it by burning it to dust which he spread over the water and gave to the Israelites to drink (Exodus 32:20). He transformed the negativity into positivity for those that didn’t participate in the sin. In 32:26-29 he tells the Levites to go through the camp and kill their brothers, friends and relatives and then they would get blessings. All the sacrifices done by the priests involved slaughtering and blood. When blood spills, it releases the soul that was in the blood. “כִּי הַדָּם, הוּא הַנָּפֶשׁ” (Deuteronomy 12:20-29). This is what creates a connection to the light. The blood when it circulates through the body, hold the soul and keeps us alive. This is at the level of Malchut. Blood has the numerical value of 44 (12+32) and with the Kolel (adding 1 for the whole) is 45, which is the same as the gematria value for the name of G-d that represents Zeir Anpin, the light. When the nation made the Golden calf, G-d told Moses to leave since they were sinning. Why didn’t G-d tell Moses to go just before they fell into the negativity? Didn’t G-d know it? From this, we understand that there is a process that we must follow to reach the ultimate revelation of light. Suffering is part of it. The three major sins in the history of the world are the Sin of Adam and Eve that they couldn’t wait six hours to Shabbat. Then here the nation couldn’t wait another six hours for Moses to come down the mountain and the third one is the sin of the 12 spies, which to my humble opinion, if six of them were to tell the truth about the land, the terrible results of 40 years in the desert and death of the whole generation that came out of Egypt could have been avoided. It is all related to the six day of creation and it echoes through the generations to our times (the sixth millennium). The three sixes (666) that is related to the sins are also related to the final redemption. In the DivineCalendar book (http://DivineCalendar.com), Ezra (Jeff) Meiliken reveals to us the deeper secrets of the number 666 and its connection to the final redemption. Remember that before we are able to enjoy our house, we need to own it. For that we need to pay the full payment. Only then we can sit and relax. On every pain you go through in life, on every tear you shed, open your heart to G-d and say “I am not complaining, I am paying”…. Author Zion NefeshPosted on April 20, 2009 April 20, 2009 Categories ExodusTags TorahLeave a comment on Vayakhel – What is between pain and roses? Terumah deals with the materials, measurements and methods that were needed to build the Tebernacle. The discussion on the parasha is one of the longest in the Zohar and it gives us the real meaning behind the simple story. Most of the articles in Zohar Terumah discuss the connection between Binah and Malchut. Rabbi Shimon said that when G-d created the world (level of Malchut, represented by the last letter "ה" of the Tetragrammaton, "יקוק"), it was in the same process as Above (Binah, represented by the first "ה" of "יקוק"). The Zohar and The Ari explain that in the process of Creation, Malchut that was only Judgment got elevated to Binah to connect and draw energy of Mercy in order to sustain its existence. They are parallel to each other to allow flow of the energy. That is why Malchut and Binah use the same letter ה. in the weekly cycle; Shabbat is when we are elevated to Binah to draw the light for the whole week. All that we need comes from Binah. Yom kippur is the highest level of connection to Binah. In every Morning Prayer we recite a special song of the day and announce “היום־יום־שלישי־בשבת־קודש” “Today is the (day name) day of Holy Shabbat”. This tells us that every day receives energy from Shabbat, which is Binah.. When it is said "ויקחו לי תרומה" (And they will take for me donation), obviously G-d doesn’t need our Gold, Silver and Copper but out of his love to us he asks us to contribute to the building of the Tabernacle. See articles Genesis 1 and Genesis 2 on http://www.RabbiShimon.com. The verse that completes the story of creation says, "אשר ברא אלהים לעשות" “that G-d created for us to make” Genesis 2:3. It all depends on our actions. Of the 3 metals, Gold represents left Column and Isaac, Silver represents Right Column and Avraham, Copper represents Central column and Jacob. At the beginning of the silent prayer (Amidah) and in many other prayers we use the patriarchs as a key to open the upper gates for us. The daily prayers also relate to them, Morning is Chessed for Avraham, Mincha is Gevurah for Isaac and Arvit is Tiferet for Jacob. Zevulun and Yisasschar, two of Jacob’s sons made a special deal. Zevulum was a traveling businessman and didn’t have much time for spirituality. Yisasschar dedicated himself to the study of Torah and spirituality. They agreed to equally share the gain of their dealings, Zevulun shared his profits with his brother in return for equal share of Yisasschar’s spiritual light. The Ramchal, Rabbi Moshe Chaim Luzzatto, a great kabbalist tells us that a Torah study can bring you closer to the level of Yesod (the funnel of the light to the world and it is above Malchut). A person supporting the needs of a Torah student draws the light from Binah to himself. We can understand this now because a supporter and a contributor to the continuation of Torah studies in this world behaves like the light of Binah. G-d wants to open a channel of light for us and all we need to do is to put some effort from our side. We just left Egypt, and G-d made the Egyptians to like the Israelites and give them their gold, silver and clothing. Now G-d gives us the opportunity to give back from what he gave us. It is a great lesson from King David to make us understand that it is all from the Creator. Even the richest person in the world cannot take his gold with him to the grave. Sooner or later they will be robbed and they cannot do or say anything about it. Even the great Pharaohs and their gold inside the Pyramids could not keep the thieves away. When we give back we create movement that is critical to keep our being and to add to it. Everything in this world is in movement. Even the hardest metal consists of molecules and atoms in a constant movement in space. That is what gives it identity. Resting state is actually a transformation state. We were born with the desire for the self. It is the engine that makes our heart pump and circulate the blood in the body to keep it alive. That is why desires come from the heart. It holds the desire to live. Imbalanced desires hurt the heart. People that know their desires and how to balance them have healthy hearts. Feel your heart beat in different situations to realize this truth. Increased desire for the self creates “Fat” (blockages) and enforces the laws of entropy on the spiritual and physical level. To keep a healthy and balanced diet you need to “burn” the same or more energy you draw into yourself. This process is called Terumah” “תרומה” in Hebrew. When we give away from what we have we create a transformation, a movement that keeps us connected to the system and with the cycle of life (Elevation to the light). No movement forces us into a state of losing our identity and to a negative transformation (Entropy, decay). We need to renew all the time. The best fuel for that is to connect to the light by giving from our energy. Whatever we have comes from the Creator whether it is money, knowledge or time. When we give to others, we act as the Creator from the level of Binah. Giving Terumah (Donation) creates Temurah (change) and draws the light of Binah. In Zohar Terumah (With Hasulam # 537) Rabbi Chia says “It is time to act for G-d” (Psalms 119:126) and he explains that as long as people occupy themselves with the Torah, all the worlds, heaven and earth are held in existence. When they neglect the study and connection to the Torah, the worlds become weaker. Here we understand that it all depends on our actions. WE need to connect and draw the Light from Binah for our personal strength and for the whole world. Every action that draws light to the world brings us to the final revelation of the Light in this world and to seeing the third Temple on the Holy Mount in Jerusalem. Mishpatim – 5768 – Slavery or Freedom? What is your choice? Slavery or Freedom? What is your choice? In last year’s commentary on Mishpatim, I had explained that the Zohar teaches us that in this parasha we find the laws of reincarnation. The Zohar explains in Mishatim that the Torah gives us good advice and we all depend on it. The Holy One, Bless be He, gives a protection to our souls so we can keep it away from negative influences. In other words, it protects us from “selling our soul to the Devil”. The common image of that is a dark deal between the Devil (Red eyes, Horns, Forked tail…) and a person where the devil promises special powers in return for the person’s eternal soul. This is a great invention by the negative side in order to distract us from the real truth that is very simple. We sell our soul to negativity, each time we prefer to satisfy the material and physical desires without making a connection to the light. The purpose of the soul is to seek and reveal the light, not the material things. The Zohar explains that when the soul enters the body, its light disappears. The reason for that is to give us the ability to control the left side (negativity, Selfishness, body consciousness) and reveal greater light. It is like planting wheat seeds in the ground. They disappear and dissolve in the ground but then, end up growing 100 times fold. Maybe even clearer example is how a man and a woman connect together. Their minds are with joint consciousness (higher light) and they transfer this mind’s energy to seeds that get planted deep in the dark. The seeds disappear and a new creation is formed with the purpose to reveal light. When the soul comes out in a new body, it comes with the desire to grow and absorb all the energy they can connect to. The mother’s breast milk is the closest source to the light. The milk is naturally produced because of the desire of the new born. It is amazing how this fluid contains all the life force a baby needs for a year or more to grow. Many mothers know that the amount of milk in their breasts depends on the desire of the child to draw more. When the child stops or slows down his consumption, the milk production behaves accordingly. Another example that teaches us how the light is drawn to the vessel(desire) upon its existence can be found in Kings 2 chapter 4:6. The Oil (light) stopped when there were no more vessels to fill. My mother, G-d bless her soul, breast fed 8 children of her own and 3 other babies (in different times) since their mother was not there or didn’t have milk. It was while she was breast feeding one of us. A woman has two breasts to be able to feed more than one child at a time. It is known that mother’s milk is the best for the mental and physical health of a child. The child seeks the missing light when he gets placed in the body and gets disconnected from the greater light. Sarah the Matriarch was of almost 100 years old when she breast fed many other babies (400) to prove all the people that she delivered and nurtured Isaac. That is why it is said in the Torah Genesis 21:7 “הֵינִיקָה בָנִים, שָׂרָה ” that “Sarah would be nursing children”. The reference is to children, in plural, not singular, because she had only one child. As the soul grows, there gets to be a change in the process at age 12 for female, Bat Mitzvah and 13 for male, Bar Mitvzah. Another part of the soul joins the existing one and a biological change also takes place. A girl is now able to bring children to the world and fulfill the Mitzvah of be fruitful and multiply. A boy now carries his own correction. He has a new file and every action he does affects his soul and future. Their soul now must work to reveal light in the world and follow the precepts (Mitzvoth, מצוות ). מצוה is the act of revealing light. The first two letters מצ in את־בש (At-Bash is a Kabbalistic method of Gematria) become “יה ”. The word מצוה (mitzvah) becomes the name of G-d,” יקוק ”. There are 53 precepts mentioned in this parasha to connect us to the 53 portions of the Torah. Also in Hebrew it is גנ , which is abbreviation for the word reincarnation of the souls in Hebrew “גלגול־נשמות ”. גנ also means gene. The connection to the Torah affects our Genes and the reincarnation process. We read in Joshua (1:8) “לֹא-יָמוּשׁ סֵפֶר הַתּוֹרָה הַזֶּה מִפִּיךָ, וְהָגִיתָ בּוֹ יוֹמָם וָלַיְלָה, לְמַעַן תִּשְׁמֹר לַעֲשׂוֹת, כְּכָל-הַכָּתוּב בּוֹ: כִּי-אָז תַּצְלִיחַ אֶת-דְּרָכֶךָ, וְאָז תַּשְׂכִּיל. ”. “This book of the law shall not depart out of your mouth, but you shall meditate in it day and night that you observe to do according to all that is written there; for then you shall make your ways prosperous, and then you shall have good success”. After Moshe was gone and Joshua took over the leadership, G-d gave him his best advice “follow the Torah”. G-d did not tell him to pray or call on him. Just follow the Torah. Everything is in the Torah. This is where we can draw the light that we miss from the time we were with the Light and before we were pushed into the body. I say “pushed”, because the soul knows what is going to happen and it resists the separation from the Light and returning to a body. When the soul leaves the body it travels toward the light. People with near death experience always tell the same story of “going through a tunnel” and at the end of it they see a great loving and comforting Light. The “Tunnel” effect is the physical darkness surrounding the soul. When the soul reaches the end of the tunnel a complete separation from the body occurs and there is no turning back. I know two people with such experience. Both have the same attitude and request towards death. They ask the people around them not to try and revive them if they are in a comma or similar state. They just want to go back to the Light they saw and felt. Recently I was in Israel to sit Shiva for my mother and met a family friend who was in the hospital for over a year, hooked to a heart machine. They couldn’t find him a matching heart for all that time. The one that they finally found had belonged to a famous 24 year old model that passed away very quickly due to a rare brain virus or disease. He was over 60 years when he got the new heart and now he is in great physical shape. Happy, smokes in chain and “enjoys life” as he says. When people ask him why he smokes, he answers that he doesn’t care to die. When he was in a coma state he saw his relatives and enjoyed a great time in the Light. It doesn’t matter to him that he can live a longer life with a perfect heart. He is a happy and fun person to be with. I share this story with you not for you to start smoking and don’t care to die but to understand that being close to the light, gives you freedom. This where we came from and this is where we will return to. Zohar Mishpatim holds one of the special sections with a lot of concealed secrets in it. This section’s name is Idra De Mishkanah, meaning, the “Assembly of the Tabernacle”. There is no mention of the known Tabernacle that held the Holy Ark. This section talks about the head, “The Head of the King”, the face, the hair, the eyes, the eye brows, forehead, nose, mouth and other related parts of the face. Then the Zohar talks about the Hebrew letters and the light related to them. This section is so hard to understand and even though Rabbi Ashlag in his translation and commentary to the Zohar, explains a lot on each part, it is still hard to understand. One thing obvious is that it talks about the dwelling (Tabernacle=Mishkan=dwelling place) of the soul in the body and the head is the king of the body. The face, “פנים ” in Hebrew and it also means Inner. The letters connect to the soul. The Zohar reveals us that the Torah existed 2000 years before G-d decided to create the world. Then he created it while looking at the Torah. The Zohar says that the whole Torah is one holy name of G-d. If you take one letter out of it then you put a flaw in the Holy Name and transfer the Light to the other side. We were with the Light, before creation that was done with the Hebrew letters of the Torah. That is why the Torah represents all our souls. In Yitro, we received the Laws of the Torah. When we adhere to the Torah we complete our process in life and don’t need to reincarnate. Since we are not perfect, Mishpatim comes to explain the laws of reincarnation that is how to connect to the Light with every incarnation and how to set a perfect dwelling for the soul in the body. Our actions need to connect us to the Torah and draw the light to the soul. The Letters of the Torah holds the light for our soul and it is the main source to draw the necessary light to sustain the soul in our body and make him happy to do the work assigned to him in this life. We quoted the Zohar earlier that G-d created the world from looking at the Torah. We never had any doubts in the Zohar’s accuracy in every word it says but for the first time in 5768 years we have the scientific proof that the Zohar is absolutely correct. You can find it all in “The Divine Calendar” by Ezra (Jeff) Meiliken. Next week is Parashat Terumah and we will read about the blue print and the process of building the actual Tabernacle. We are going there from the inner personal connection to the Light, out to the greater tool to draw light for the whole world. Isn’t it so amazing and beautiful? I’ll explain more on Terumah. Feel free to forward this article to any of your friends. Help them connect to the Torah and the Light. Give their soul a fresh breath of Light to help and strengthen them in their life process and work. Author Zion NefeshPosted on April 14, 2009 Categories ExodusTags Torah, Torah CommentaryLeave a comment on Mishpatim – 5768 – Slavery or Freedom? What is your choice? Author Zion NefeshPosted on April 14, 2009 Categories ExodusTags Torah, Torah CommentaryLeave a comment on Vayakhel – What is between pain and roses? The most important questions are why are there 10 plagues? Why did G-d harden Pharaoh\’s heart? In this short article I will try to explain the amazing teaching the Torah gives us here. First remember that we just started the Book of Exodus and Jacob connected to Joseph to form the connection from the upper triangle of Abraham, Isaac and Jacob (Chessed, Gevurah, Tiferet) to Joseph (Yesod). Exodus 6:2, 3 "God also said to Moses, "I am the LORD. 3 I appeared to Abraham, to Isaac and to Jacob as God Almighty, but by my name the LORD I did not make myself known to them." "וַיְדַבֵּר אֱלֹקים, אֶל-מֹשֶׁה; וַיֹּאמֶר אֵלָיו, אֲנִי יְקוָק." "וָאֵרָא, אֶל-אַבְרָהָם אֶל-יִצְחָק וְאֶל-יַעֲקֹב–בְּאֵל שַׁדָּי; וּשְׁמִי יְקוָק, לֹא נוֹדַעְתִּי לָהֶם"
(6:7) I will take you as my own people, and I will be your God. Then you will know that I am the LORD your God, who brought you out from under the yoke of the Egyptians. G-d wanted to fulfill his promise to Abraham, Isaac and Jacob and the process had to start now. After Joseph established the channel of Yesod, the Light needed to flow to the world and like electrical system, the power needed consumers to keep the flow. G-d needed the people for that and in many ways they had no choice but to accept. Moshe and Aharon with their willingness to walk the way of G-d became the base of the lower triangle. Moshe as the level of Netzah and Aharon as Hod complete the five sefirot that makes the vessel for the light (Chessed, Gevurah, Tiferet, Netzach and Hod). Yesod (Joseph) is the funnel to continue the Light from the vessel to the world. With the upper three sefirot of Keter, Chokmah and Binah we have the magic of eight that causes a greater revelation of the light and Zeir Anpin has a face name (יְקוָק). The Holy Ari, reveals to us that Zeir Anpin was born (start its revelation in the world) and that is why G-d assigned Moshe of 80 years old for the mission to bring this light to the world. As I mentioned in the commentary to Shemot, Pharaoh was not aware of the spiritual force of יְקוָק. He couldn\’t accept any command from unknown G-d but since he was the head of the impure system and the desire for the self, the new revelation had to be the most negative place. The Zohar teaches us, "A little light pushes away a lot of darkness". Pharaoh suffered because the Light chose to appear there, where the people of G-d were. 7. Thunder and Hail – comes from the sky with deadly force. 8. Locusts – Comes from unknown source into the land of Egypt and devoured all that was left after the hail–everything growing in the fields and the fruit on the trees. Nothing green remained on tree or plant in all the land of Egypt. 9. Darkness – A paralyzing darkness on the physical and mind level. 10. Death of the Firstborn – The last and final hit. Disconnecting the negativity from its source. We see how the strength of the plague is getting stronger as it continues. When the Light appears, darkness must go. This is why Pharaoh had no chance against the awesome light of Zeir Anpin. This light matured later with the revelation on Mount Sinai and the giving of the Torah. Exodus 13:1 "The LORD said to Moses, 2 "Consecrate to me every first born male. The first offspring of every womb among the Israelites belongs to me, whether man or animal". This is the cost of keeping the first born alive. G-d took them under his protection and in order to keep them we have to go through the process of "redemption of the first born". This is a process where the parents bring the child to the Cohen to pay him to keep their son with them. This process is done 40 days after the child is born and in simple calculation we find out that it is on the tenth day after the ten month from the planting of the seed. Remind you of something? If you have a first born child or you are a first born, it is never too late to go through the process. Consult your Rabbi. On a personal level we learn to be responsible to our actions. There is an automated cause and effect system and we are all must follow its laws. If we have a file with negative records we need to bring the light in and clear it. It may cause us some pain in the process but we will be free after that. Many people that goes back to religion or spirituality, feels that effect and if they are not aware to the laws described above, they think that the system goes against them and if they gives up before paying the full payment. In Isaiah 51:17 we read at the time before the final redemption "הִתְעוֹרְרִי הִתְעוֹרְרִי, קוּמִי יְרוּשָׁלִַם, אֲשֶׁר שָׁתִית מִיַּד יְקוָק, אֶת-כּוֹס חֲמָתוֹ; אֶת-קֻבַּעַת כּוֹס הַתַּרְעֵלָה, שָׁתִית–מָצִית"
Awake, awake! Rise up, O Jerusalem, you who have drunk from the hand of the LORD the cup of his wrath, you who have drained to its dregs the goblet that makes men stagger. The Hebrew words explain better that when we finish paying for our negativity (cleansing by the Light), we will wake up to (Isaiah 51:22) "כֹּה-אָמַר אֲדֹנַיִךְ יְקוָק, וֵאלֹהַיִךְ יָרִיב עַמּוֹ, הִנֵּה לָקַחְתִּי מִיָּדֵךְ, אֶת-כּוֹס הַתַּרְעֵלָה–אֶת-קֻבַּעַת כּוֹס חֲמָתִי, לֹא-תוֹסִיפִי לִשְׁתּוֹתָהּ עוֹד"
(Isaiah 51:22) "This is what your Sovereign LORD says, your God, who defends his people: "See, I have taken out of your hand the cup that made you stagger; from that cup, the goblet of my wrath, you will never drink again." Let us pray for the day, hopefully today, to see G-d takes away from us all pain and suffering and reveal Mashiach, Amen. The Kohen\’s work was actually for us. He used to put himself in great risk going into the Holy of Holies to draw the light for us and for the whole world. If the Kohen didn\’t do his work correctly then he would die in the Holy of Holies. When the Kohen went into the Holy, he had to focus his consciousness in the action to draw the light to the world. This had to be on pure spiritual form because if his body created limitation and if for one split second he thought of him self then the great energy of the Light would burn them. We know that before the destruction of the temples, the Kohanim would die almost every year. The Zohar opens with "תצוה ואתה" to help us make a connection between Zeir Anpin "ו" (the upper level) and Malchut "אתה" (our level). The 8 garments of Kohen Gadol (Aharon) and 4 garments of simple Kohen are significant in their work of the Kohen to draw the Light to this world. Total number of garments is 12, which is very significant. The breast plate also has 12 stones. 12 permutations of the "יקוק", 12 tribes, 12 months and 12 signs of the Zodiac. The Tabernacle was initiated on Rosh Chodesh Nissan, which is the first month of the year. G-d instructs Moshe to teach Aharon and his sons all that they need to know to serve and draw the light and remove any negativity or impurity from the Israelites. G-d also warns the Kohen to follow the rules exactly or he will die. The description of the Kohen clothing includes little bells that the Kohen should have while serving in the Holy. The Jewish people need to be "ממלכת־כהנים־וגוי־קדוש", “A nation of priests and holy nation”. Our duty is to be pure and serve as a channel for the whole world. (That is why jews are spread all over the world.). The Torah tells us about the Cities of refuge. If someone killed another person by accident, they used to go to those refuge cities. They can leave the city only after the Kohen died. The reason for this is that if the Kohen Gadol (High Priest) did his work perfectly then all the negativity would be removed and there would be no openings to have "accidents". This process also teaches about the importance of consciousness while doing a Mitzvah. We all know that if a man says a blessing and meditate for the others and they say Amen then it is like they did it themselves. Our work in this world is to do for others, from the High Priest to every one of us. "מצ־וה" is a connection to the light. The "מצ" in אתבש (gimatria method) makes "יה" and together it forms the name of G-d. The Zohar describes the affect of doing the spiritual work to bring our souls to a higher level and warns us with the harms of anger. Anger causes the good parts of our souls to leave our body and immediately get by impurity and negative entities. We loose everything that we have earned to that point and it takes us a much greater work to regain what we already had. The Zohar calls this situation "עבודה־לאל־זר", work (worship) another G-d. When our pure soul leaves, another negative soul enters and from that moment on we start serving that negative soul. This is the reason that after getting angry we feel emptiness. Even if we find a good reason to get angry on someone and "give it to him", we can never enjoy that "victory" over the other person. Anger is fire and it burns. In another palce The Zohar says that being angry on Shabbat, is a great " חלול־שבת", desecration of Shabbat. When a righteous person is angry, it is good because his anger is for the sake of Torah and in order to help the other person. As it says "The Torah is Fire". A righteous person never "looses himself in anger", he always thinks in the ways of Torah and for the others. Author Zion NefeshPosted on April 14, 2009 Categories ExodusTags Torah, Torah CommentaryLeave a comment on Beshalach – Why are you crying out to me? Pekudei – Who built the Tabernacle? Bezalel and Oholiab completed the job of building the Tabernacle. The Zohar explains that Bezalel whose name means, in the shadow of G-d, utilized the Hebrew letters to create all that he needed. It was mind over matter, the supreme alchemy, using the “chemistry” of the Alef Bet. Rabbi Shimon reveals us in the Zohar that the letters are divided into groups of threes. There are two male letters and one female letter in each group. There are nine females and eighteen males. Total of twenty seven letters (22 base + 5 finals). The nine females are the final four, which are “קרשת” and the five final letters that are “םןץףך”. There are supernal letters that come from Binah (the eighth sefirah) and letters from the level of Malchut. There is nothing random. Nothing, Nothing, Nothing. The term “random” is invented by frustrated scientists to explain phenomena that they can\’t explain or control. Fortunately, most scientists nowadays come closer to spirituality and better understanding of the real nature of nature. The Tabernacle is a device that helps us connect to the light of the Creator. This light is the power that drives all existence. G-d took us out of Egypt holding our hands and keeping us safe like in a mother\’s womb. Now before coming to the Land of Israel and giving us control over our life and ability to be like him, he gave us the tools to connect. In previous Torah portions, we received the personal tools and now the Tabernacle as a tool to connect the light to all peoples. Before we born, we were "wired" to another device (mother) that provided us with the light’s energy needed to build our vessel. The Ari teaches us that every three months in the womb, a baby moves to another level of their development. After nine months (3×3) the pregnancy gets completed (the vessel) and ready to go into labor. to make all the parts of the Tabernacle. In 39:32 they finished the building and brought the Tabernacle to Moses. "All the work of the Tabernacle was finished…; and the children of Israel did according to all that G-d commanded Moses, so did they"
A famous Torah commentator tells us that the first four words of the verse is numerically equal to "the twenty fifth of Kislev". This is the day of the Miracle of Chanukah. This miracle is about connecting the Light to the Holy Temple (vessel). Immediately after that (Exodus 39:42-43) Moses saw that they had done all that G-d commanded and he blessed them." What is G-d telling Moses to do here? The Zohar explains on 39:33 that they brought the Tabernacle to Moses. It is like bringing the bride to the groom. They built the vessel and Moshe who represented the Light, needed to activate it. G-d told him when to do it and how to do it, exactly. We can easily calculate that from the 25th of Kislev to the first of Nisan, as G-d instructed Moses to activate the Tabernacle, there are three months and 7 days. The seed was planted when Moses blessed them when they brought the Tabernacle to him. After that there was three months of concealment to establish the vessel and build its desire for the Light. Like in pregnancy, during the first three months it is hard to know if the woman is carrying a baby. Also When Moses was born; his mother concealed him for three months (exodus 2:2). Timing is important. Rosh Hashanah and the First of Nisan are two heads of the year, one is female and one is male for the light and vessel. When we have desire to create and build something, we can do it with the power of consciousness, which is energized by the power of the letters we carry with us. The letters are embedded in our name and DNA. On smaller scale we have the power to achieve whatever our mind is set to. If we define our goals clearly and to the detail, like all the parts of the Tabernacle, we can achieve them when we apply the spiritual laws given to us by G-d.
You can build the most sophisticated computer with the best parts, but it will not give you anything if it is not connected to a power source. At the end of verse 40:33 Moses finishes the work. Immediately after, in 40:34, G-d appears in the Tabernacle. Moses connected the Tabernacle (vessel) to the Light and activated it on the first day of Nisan. When we have a vessel and a proper connection, the Light must appear, unconditionally. Moses activated the first device to connect to the Light for us and he will do the same with the final one, the Third Temple in Jerusalem. Today, Amen. Author Zion NefeshPosted on April 14, 2009 Categories ExodusTags Torah, Torah CommentaryLeave a comment on Pekudei – Who built the Tabernacle?